Join us for a trip to the best place on earth, home of big hair and even bigger gossip: Truvy's Beauty Spot. Part of our Dolly Parton series. "With Burt and Dolly this much fun just couldn't be legal"
Based on the hit stage-musical, The Best Little Whorehouse in Texas documents in rousing song and dance the demise of the real-life Chicken Ranch whore-house. 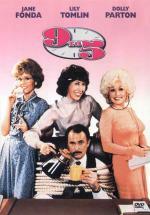 Starring Burt Reynolds as Sheriff Ed Earl Dodd and Dolly Parton as the Chicken Ranch's proprietress, Miss Mona. The two join together not only in romance, but to fight big city TV crusader Melvin P.